So, now we are mostly settled into our German apartment. And it's winter. The dead of winter. Anyone who knows me knows that I LOVE snow, but that doesn't mean I love dark cold winter. Thankfully Germany gets it's share of snow, though there was a space of a good 3 weeks here where there wasn't any, just the gray and bone-chilling-damp day in and day out. Each day I walked by twisty brambles and craggy ancient trees covered in dark moss, the whole palette quite drab. It was monotonous in a way, yet fascinating in another, as there was (and still is) a sense of newness about even the smallest things here, like the dark twisting vegetation. 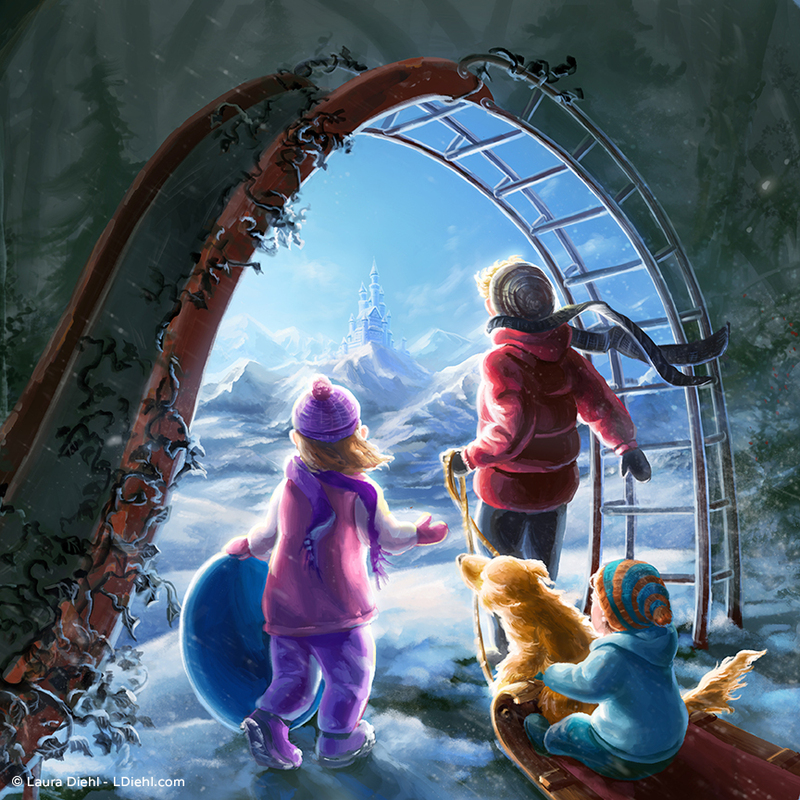 In "children's illustration", "digital painting", "personal work"